It’s that time of year when all we dream of pumpkins, apples, ghosts and witches. It’s also that time of year when we can use a few healthy snack options. 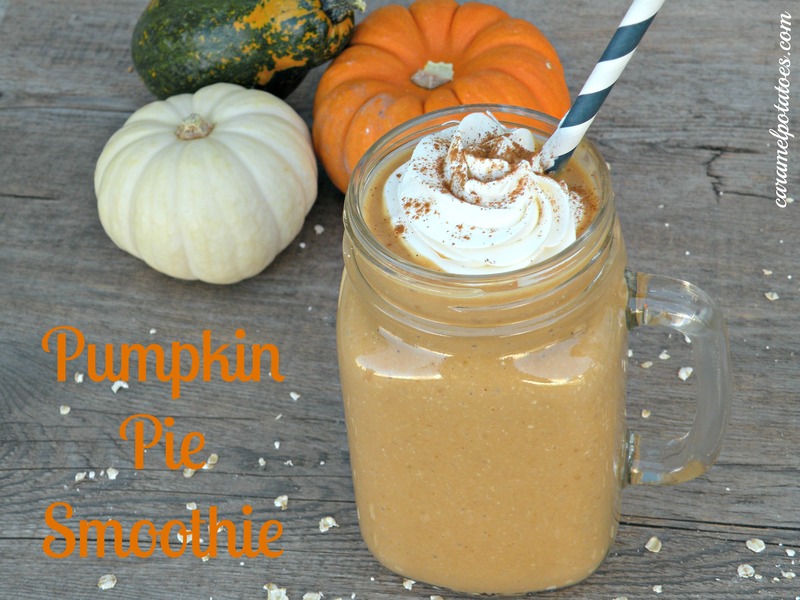 This smoothie gives the flavors of pumpkin pie but with far fewer calories. It’s a great way to celebrate the season without stretching the waistline. Place all ingredients except whipped cream and cinnamon in the blender and blend together until smooth. Add whipped cream and cinnamon, if desired. *This recipe makes about 20 ounces, so this is either a large smoothie for one or two smaller smoothies. It’s up to you! So glad you made the smoothie!!!!! I’m following you on Facebook, Twitter and Pinterest. I’d appreciate the follow back. Have a great day! Oh my, I just love the flavors of fall!